Get ahead of your competitors with free-from desserts and learn skills to give you a unique selling point to tap into this rapidly expanding market. The Vegetarian Society Cookery School has refreshed their Professional Chefs’ Diploma course to include a full day on vegan patisserie. 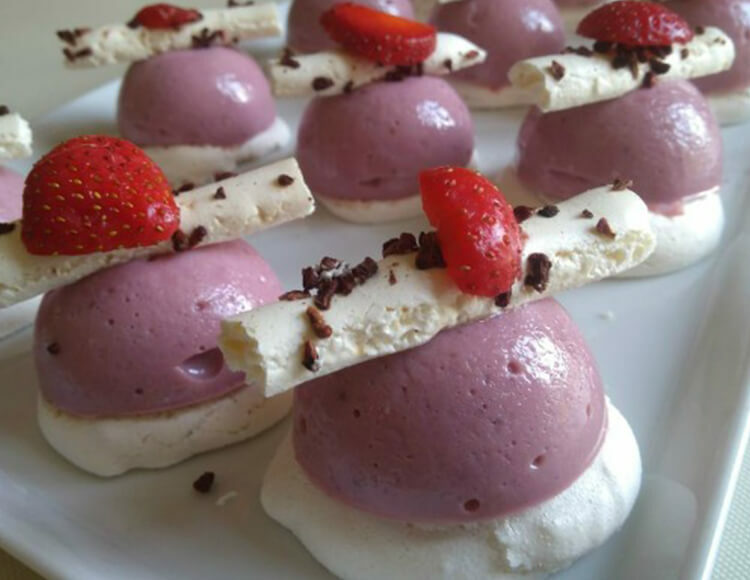 The intensive five-day training now includes incredible vegan desserts suitable for the most impressive of menus, giving you lots of dairy-free and egg-free options. The five-day intensive Professional Chefs’ Diploma includes workshops, information about nutrition, discovering new flavours, menu planning and practical cooking sessions. The course introduces vegetarian and vegan ingredients you’ll be able to use every day. You’ll learn how to maximise flavours and adapt your menus to keep them on trend. Find out more at www.vegsoccookeryschool.org. The Vegetarian Society Cookery School has trained hundreds of professional chefs and caterers. Our graduates go on to improve and develop their vegetarian and vegan menu offering in their businesses, ensuring they keep a competitive edge. Based in Greater Manchester, the school attracts people from all over the world.